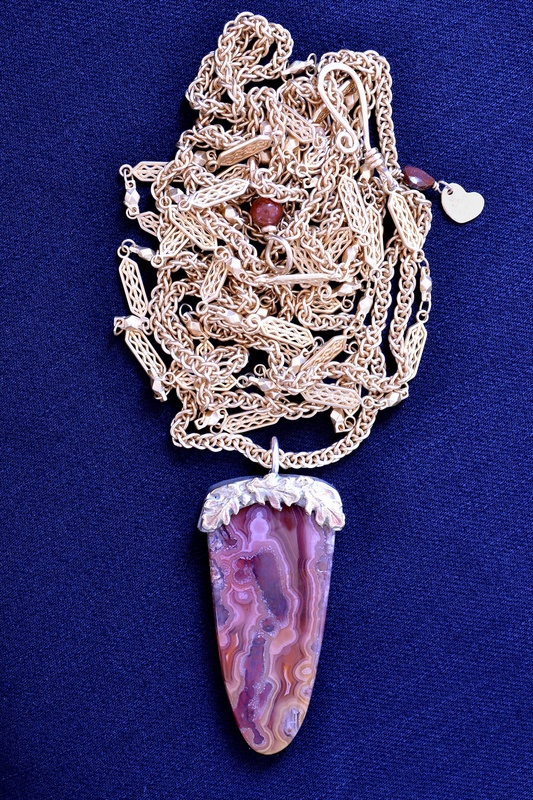 This pretty agate makes a nice, extra-long necklace which could be wrapped twice as shown in the bottom photo. 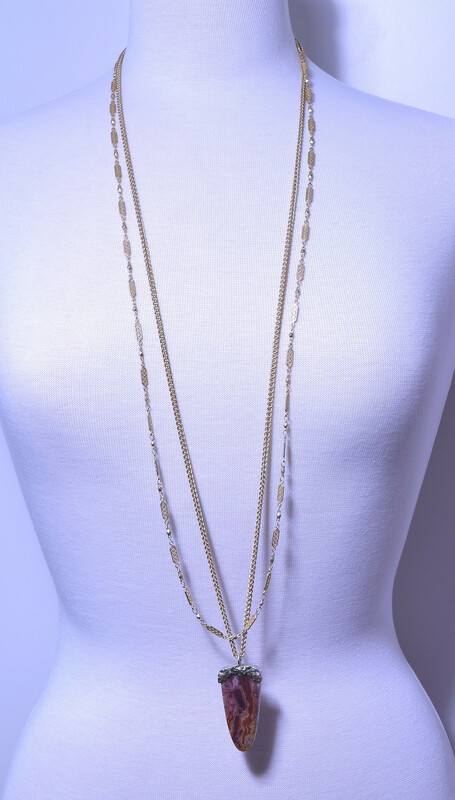 If you're not into long necklaces, I'd be happy to shorten it to your specifications. Laguna Agate is considered by many to be the most beautiful agate in the world. 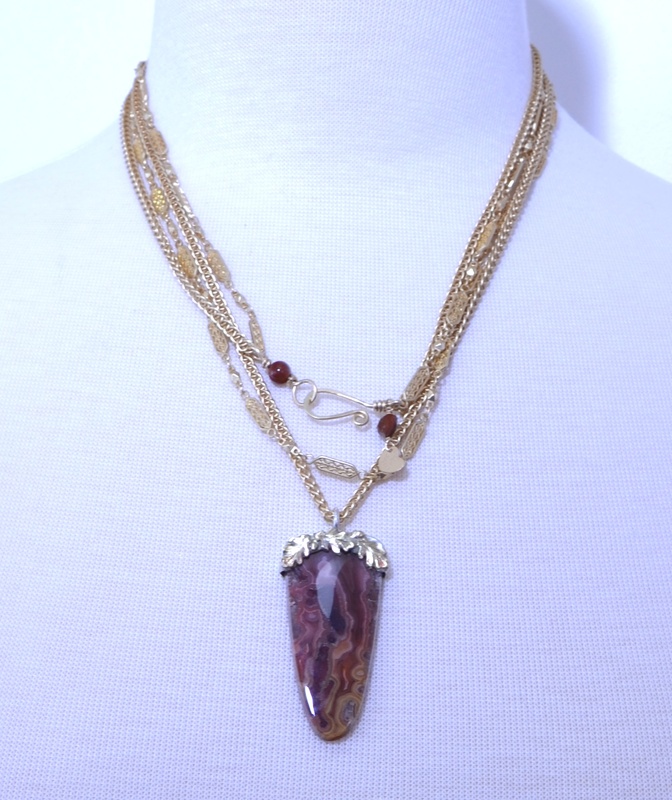 This marsala-colored stone blends perfectly with Pantone's 2015 marsala "color of the year" so will complement today's wardrobe perfectly. It is neutral enough to work with a wide range of colors, you won't have to give it up next season! 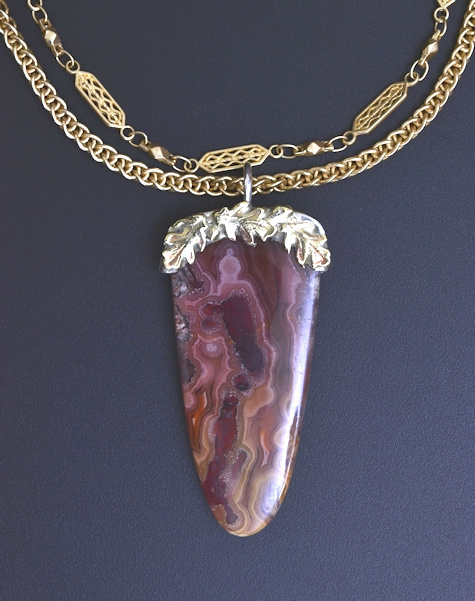 Pantone's color is taken from the wine grown near Marsala in Sicily; this stone took its color from Mother Earth herself. Won't you order it today? There will never be another!